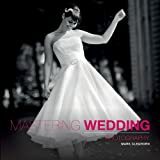 Whether you are planning to take up wedding photography professionally or have been given the role of photographer at a friend’s big day, this guide is packed with expert advice on capturing those treasured memories. Mark Cleghorn offers comprehensive information on choosing equipment, manipulating the light, taking candid shots, and organizing formal portraits, as well as clearly explaining all the key photographic techniques. He also gives plenty of suggestions on what to capture before, during, and after the ceremony, plus tips for post production. Mark Cleghorn is the author of The Complete Guide to Light and Portrait Photography. A highly sought after wedding and portrait photographer, he runs a successful photographic studio and is one of the few photographers in the world to be awarded a Fellowship by four of the UK’s major photographic organizations: the British Institute of Professional Photographers, the Master Photographers’ Association, the Royal Photographic Society, and the Society of Wedding and Portrait Photographers. He has also won a host of accolades including the MPA’s National Avant-Garde Wedding Photographer of the Year Award and 17 Kodak European Gold Awards.